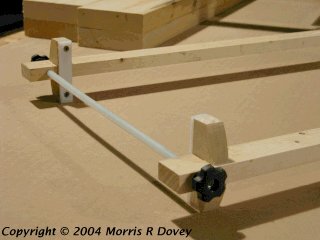 I needed an inexpensive clamp design for a project that required gluing up a largish number of drawers. I made these from scrap 1" stock, some UHMWPE (for non-stick pads), 1/4"x20 threaded rod from my local hardware store, polyethylene tubing, and knobs. 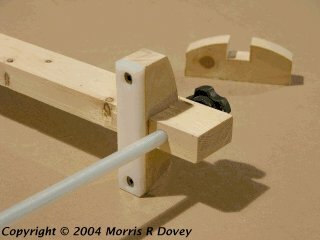 The tubing protects the work from being marred by the threaded rod; and protects the rod's threads from any stray glue. The clamp stringers are counterbored to receive the ends of the poly tubing; and the pads are deeply countersunk so that the screws can't mar the new drawers. Since then, I've reworked some of the clamps for gluing other box-like components and have been pleased with the design.